Did you graduate from university in the last decade? Did you take out a student loan? Would you mind if your loan account was sold to private investors? No? What if the total amount you had to repay on your loan was raised to facilitate such a sale? Or if the taxpayer was left footing the bill to guarantee private profits? These are the two recommendations made in a study produced for the government by Rothschild on how to ‘monetise’ student loan accounts. Possible buyers include insurance companies and private pension funds. This complex, technical study is not an idle ‘think piece’ or independent research. In 2010, Rothschild were hired by the government to conduct this work. We have seen the end-of-project report, dated November 2011, which analyses investors’ appetite for a sale and sets out recommendations. Well, in our view, the public interest lies in knowing that recent graduates– and possibly taxpayers in general - may have to pay more under any deal. It is in everyone’s interests to know what efforts the government might go to in order to shift the student loan book off the national balance sheet and to manage public sector net debt, the key headline statistic through which all parties now try and portray economic competence. Given that those graduates could face loans that otherwise last until retirement (when remaining student debt is written off), those additional years of repaying 9% on all earnings above £15,000 could be significant. Terms of sale – borrower, beware! Removing the lower cap for borrowers, which according to their report Rothschild “understands that the government would consider”, would increase the estimated sale volume from £2bn to £10bn. The report makes it clear that many Investors don’t want to buy student loans if the interest rate continues to be capped at “the lower of the Retail Price Index … or 1 per cent above the highest base rate of a nominated group of banks”. The relevant RPI for the academic year is set by the preceding March’s inflation figure. Currently the bank base rate is only 0.5% meaning that interest rates (i.e. the base rate plus 1%) are 1.5% - far below March 2012’s RPI of 3.6%. Investors want protection against precisely these below-inflation interest rates. Rothschild suggests a new clause: “the highest [sic] of 0% or RPI”, effectively also incorporating insurance against deflation. But hang on? Didn’t you sign a loan agreement specifying the terms of repayment? The Rothschild report proposes just such an amendment as the precondition for a suitable sale. The effect of this would be to increase the rate by which the amount of money owed by a graduate grows. With outstanding balances accruing higher rates of interest the average-earning graduate would take longer to repay, would have to make more repayments, and would repay more money overall. Those sitting on the new ‘2012’ loans should realise that the ‘impediment’ at issue here was removed by the 2011 Education Act. No such protection now exists for new borrowers, who face real rates of interest and possibly more. Plenty of kibbitzers are already mooting changing those loan terms to fix the ‘black hole’ in the undergraduate finances. That said, Rothschild suggest an alternative plan whereby the government would artificially replicate such a change. The government would agree to compensate investors for the difference between the cash flow actually received from the student loans, and the estimated cash flow that would have been received without the Base Rate cap. This is termed a ‘synthetic hedge’ against what are seen as adverse inflation and interest rate conditions. Since these cash flows would only be at issue in the final years of the loans, due to how repayments are structured, the current government would be committing a future government to covering these payments. It is not clear what current provision would be made to ensure that the future administration is not left with an unpleasant bill. The last few decades have seen governments repeatedly prepared to ‘kick the can down the road’. If changing the terms of repayment for graduates is too politically risky, the government may well plump for this option – and leave future taxpayers forking out to guarantee private investors’ cash flows. Martin Wolf of the Financial Times put it succinctly – the sale of student loans in the medium to long run is ‘economically illiterate’, since the government always has the lowest cost of borrowing. Rothschild indicated that the government would, in the long run, lose the equivalent of 3p in the pound even if the impediment were removed. In reality, such a sale is politically motivated, designed to massage the headline national debt statistics in the run up to the next election. The government’s current plans are hard to discern. Project Hero is dated November 2011 – we are led to understand that it is the last advice Rothschild prepared. They were pressing for sales to commence in October 2012, bringing forward the government’s original target of April 2013. In summer 2012, the government did indicate that the sale of these ‘income contingent repayment’ loans was not currently a ‘priority’, though the Office for Budgetary Responsibility revealed that a ‘partial sale’ of outstanding accounts was planned. A Sunday Times story from May claimed officials were looking again exactly the sort of sale outlined here (in addition to a sale announced in March of the remaining outstanding balances on earlier, pre-1998 loans – nominally worth £900m but likely to raise only £200m).In the first week of June, Baroness Garden of Frognal, BIS spokeswoman in the House of Lords, said that the coalition continues to “explore options for monetising student loans”:. ‘Value for money’ is boosted by the two options outlined above: Rothschild saw the government receiving a price of roughly 70p per pound of outstanding balance. 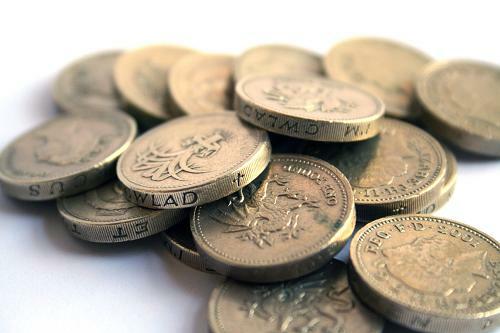 With the interest rate ‘impediment’ in place, much less could be shifted at only 63p. That said, If the government held onto the loans, returns were expected to total about 72p. Given the stagnation in the economy since November 2011, these figures must have been revised, but the relative pricing may still stand. Since the government is not required to consult with borrowers, nor gain their consent for any sale, this pitch could be made to MPs: “Yes, we are changing the interest rate terms, and extending borrowers period of repayment, but as a result of the offer of compromise, we deem borrowers to be in no worse position.” (Purchasers are unable to alter terms and conditions themselves). Here’s the rub. It must be for individual borrowers to determine where their own interests lie. The Minister does not know best. We need a clear statement taking some of the recommended ‘Heroics’ off the table. But frankly, the government is probably more concerned about what the financial markets think than what you think of what is revealed here.